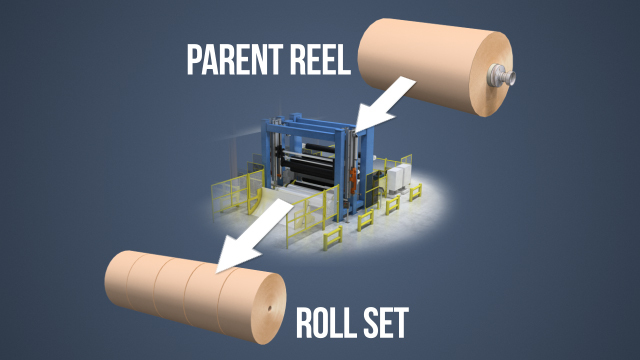 The purpose of a winder or rewinder is to convert the large diameter parent reels that are produced on a paper or board machine into finished roll sets ready for converting or shipping. 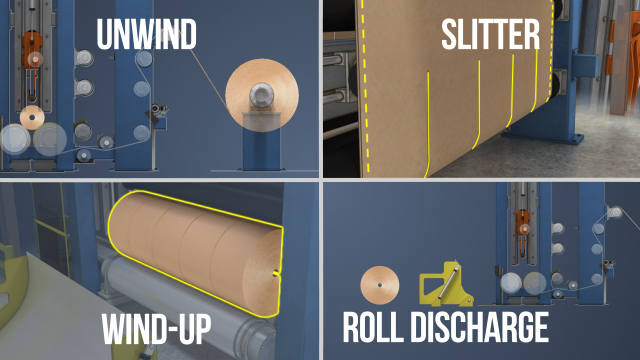 The four main sections of a winder correspond to the four steps which are performed. Winder operation requires frequent manual intervention, and many incidents occur when a winder is at Crawl or Jog speed or stopped. 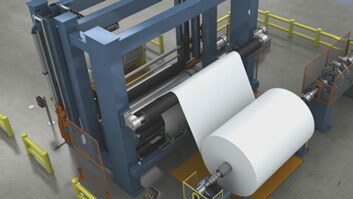 Eliminating hazards is the best way to ensure the safe operation of paper and board machine winders and rewinders. 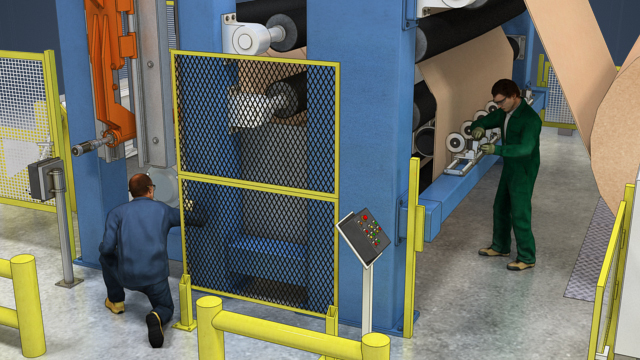 Machine guarding and safety devices, interlocks, and controls are next. 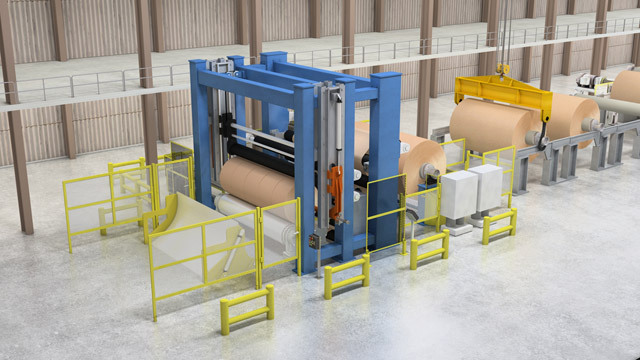 Safety can also be improved by automating activities and procedures, proper training, the use of standardized procedures, and regular monitoring and maintenance of equipment and controls. Additionally, operators should know the locations of E stops, first aid cabinets, eye wash fountains, emergency showers, and fire extinguishers, and know how to use them. Define the terms "pinch point," "nip point," "ingoing nip," and "outgoing nip"
Why must winders run so much faster than paper and board machines? 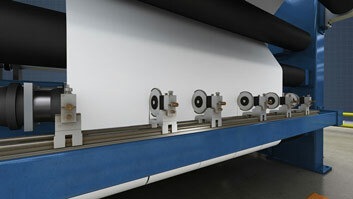 Because they must stop occasionally to load new reels, eject finished roll sets, reposition slitters, and change blades, winders must run much faster in order to keep up with the machine's production. 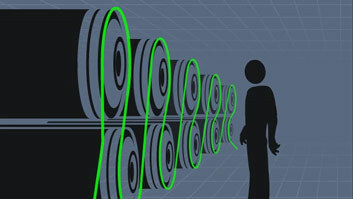 How can workers be protected from the fall hazard presented by broke holes (openings in the floor)? Guards and/or covers on broke holes should be interlocked with light curtains or safety gates, and current fall protection guidelines must be followed when working around unguarded broke holes. 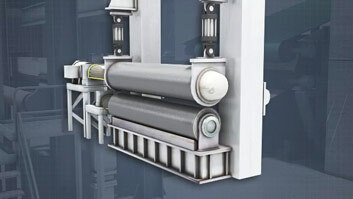 What kinds of hazards are presented by the hydraulic systems used by many winders and rewinders? Hydraulic fluid is pressurized and is heated during operation. If a fitting or coupling were to come loose, the fluid would present burn, fluid injection, and fire hazards, as well as the hazards presented by any flailing lines or hoses. What is recommended or required for platforms and catwalks around winders? All walking surfaces should be slip-resistant, and elevated surfaces should be equipped with top-rails, mid-rails, and toe boards. Do winders and rewinders have any cutting hazards? The slitters and set change device (a cut off knife or guillotine) both present nip point and cutting hazards to operators.